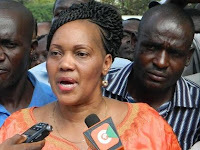 Thursday January 31, 2019-Kisumu County Woman Representative, Rosa Buyu, said the events that culminated to 2017 mock swearing-in of Raila Odinga at Uhuru Park were supposed to be a test of Opposition unity. 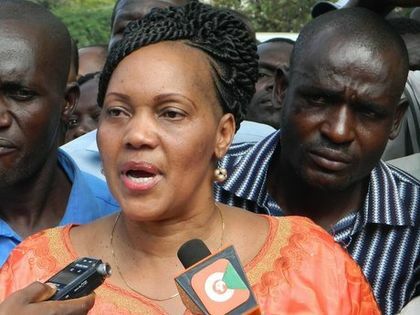 Speaking on Thursday, Buyu expressed concern over what she termed as the betrayal by other NASA co-principals who boycotted the event, despite strongly affirming to being in the Opposition. She opines that NASA died during the hyped mock swearing-in ceremony at Uhuru Park, where former Vice President Kalonzo Musyoka, ANC Leader, Musalia Mudavadi, and Ford Kenya Leader, Moses Wetangula, snubbed the ceremony. "When the other co-principals did not show up at Uhuru Park, it was a low moment for me. I actually saw betrayal with my own eyes. That was the beginning of breakup of NASA," admitted Buyu. Buyu said Raila can no longer trust the three co-principals with anything over what they did to him during his mock swearing in.